When Tom was working full time in the print industry, he worked from his own photographic resources in the studio. 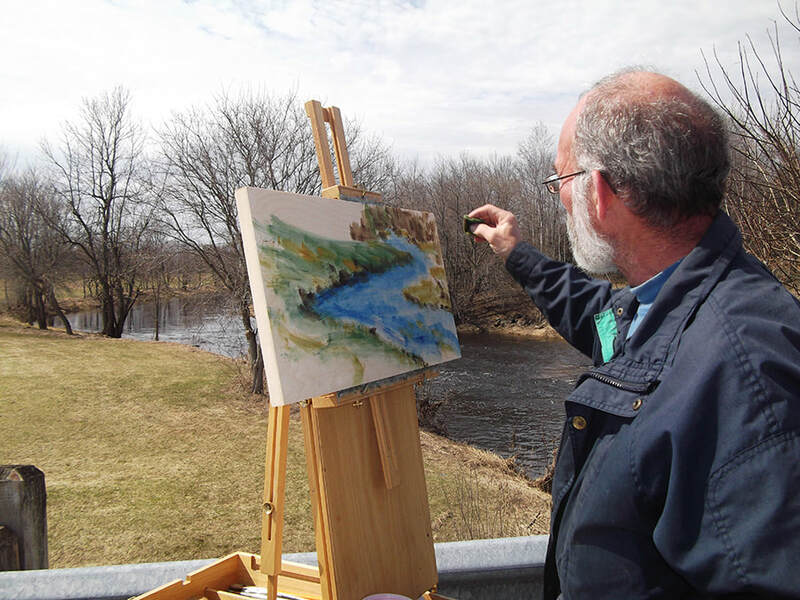 Now, Tom works exclusively plein air, at least to begin each piece. Once the rough painting is established on canvas, Tom draws on his memory, and his knowledge, to complete the painting. 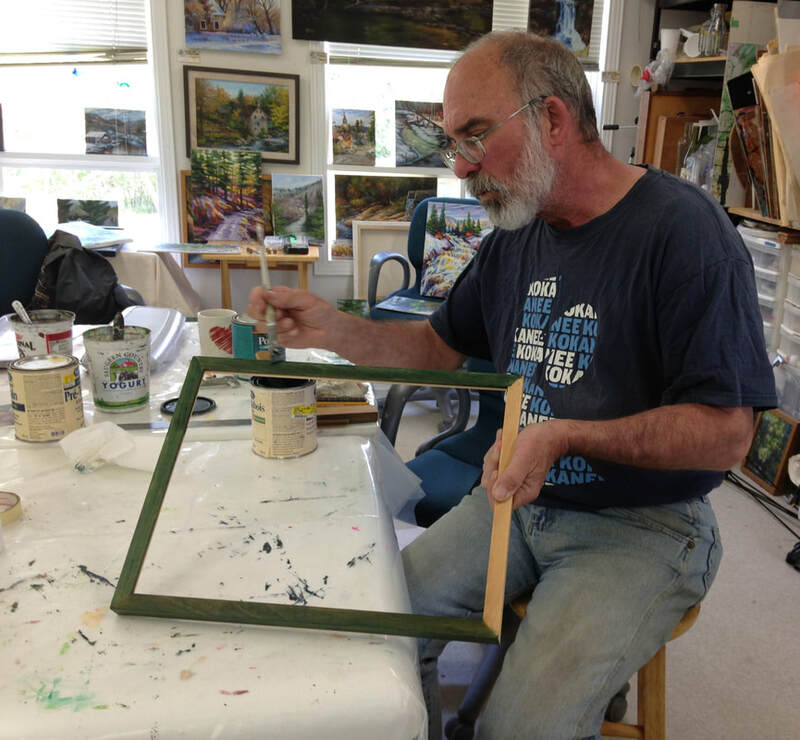 Tom's work is characterized by his delicate handling of paint in an impressionist approach. Light and shadow play a major role in creating scenes the viewer feels welcome to walk through and contemplate. All Tom's works are priced framed (double rough-cut cedar frames, stained and finished to compliment the painting). Some images do not show the frame but all are either framed or painted on gallery canvas with wrap around image. To view a painting in person, or to purchase a painting, please contact Tom!